Great apartment located right in the middle of Downtown Clemson. Just a five minute walk to campus, there is always something to do in the area. My roommates will not be here this summer so you will have the entire apartment to yourself. 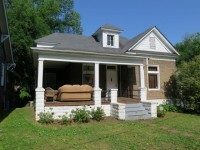 Downstairs has a large living room and dining room, half bathroom, washer and dryer and a full kitchen and back patio. Parking for up to 4 cars on location. Upstairs has a nice sized bedroom and bathroom.